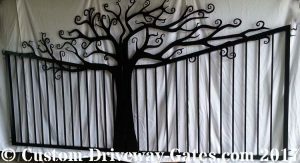 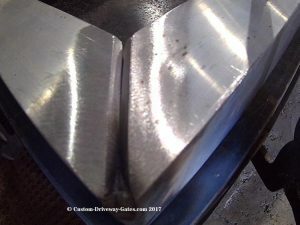 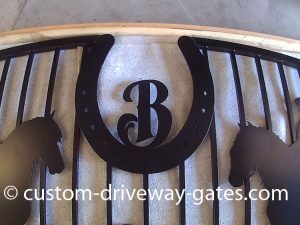 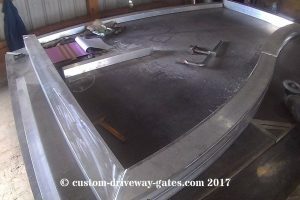 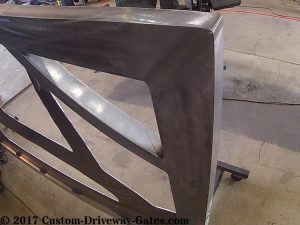 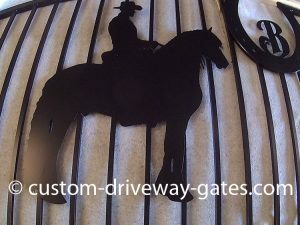 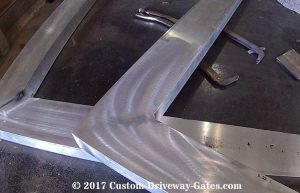 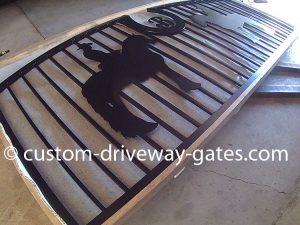 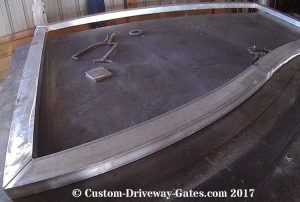 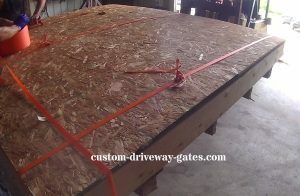 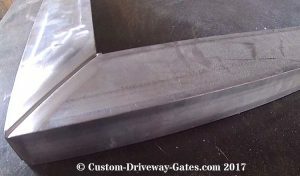 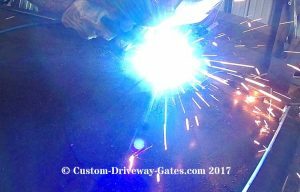 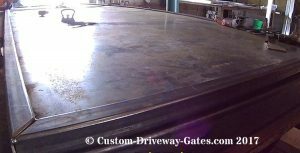 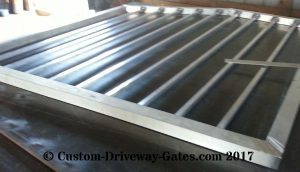 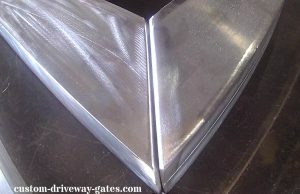 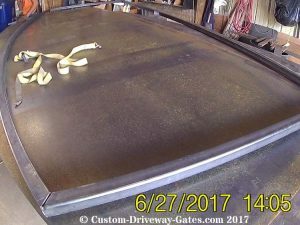 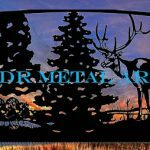 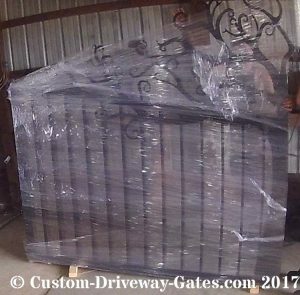 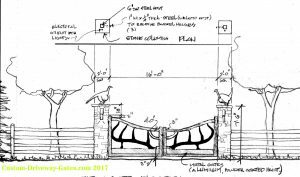 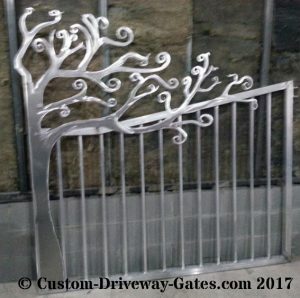 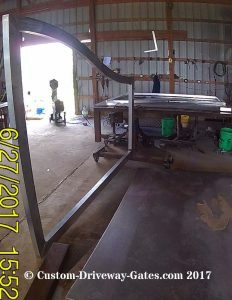 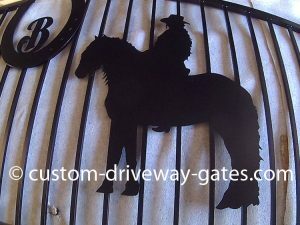 blog Archives - Page 3 of 10 - Custom Driveway Gates - Iron Steel & Aluminum - JDR Metal Art - FREE Standard Shipping! 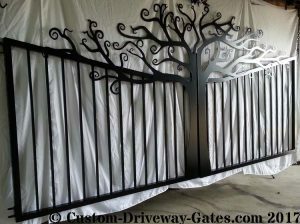 We built this single swing 14 foot steel gate and three posts for a customer in Illinois. 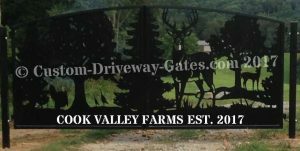 Standing over 6’3″ in the middle, this gate with deer design is very large and weighs nearly 400 lbs. 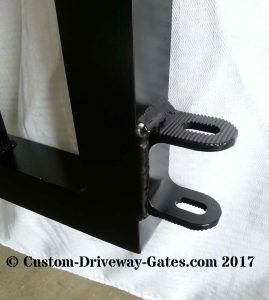 I added a third hinge socket to give the other two some strain relief…although they didn’t totally need it. 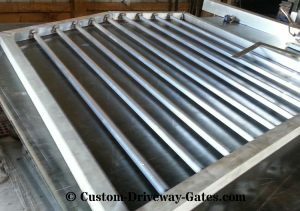 All three custom made, high performance hinges utilize sealed roller bearings, bringing the rated capacity to nearly 5000 lbs of force. 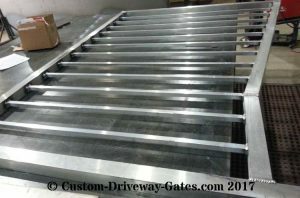 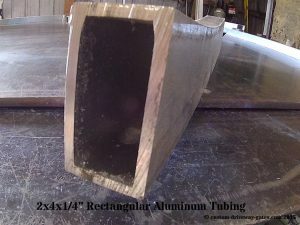 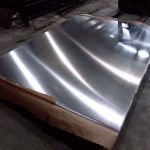 The tubing frame is heavy duty 3/16″ walled 2×2 square tubing while the design is cut from 3/16″ steel sheet metal.